Joses Nawo could be key to Henderson Eels debut appearance in the OFC Champions League if they are to advance beyond the group stage. The Solomon Islands international has a wealth of experience in the Oceania premier international club competition and the debutants will be relying heavily on his service in Group B against hosts Lautoka, FC Morobe Wawens (Papua New Guinea) and fellow new faces AS Central Sports of Tahiti. Nawo made his debut in the former O-League edition as a 21-year-old for Koloale FC against Lautoka at Lawson Tama Stadium in 2010. Lautoka won that game 2-1 and Nawo played a huge role in the 6-1 demolishing of Lautoka at Churchill Park in the return leg a year later. 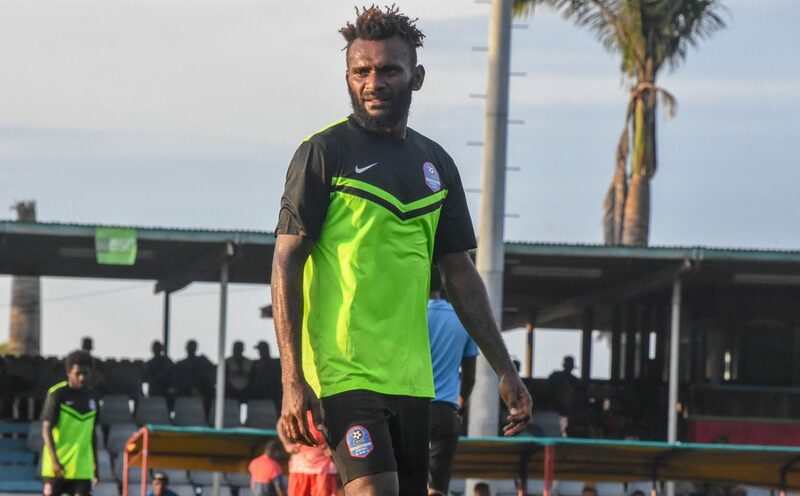 The forward was part of the Koloale side who reached the final in 2009 and went on to help former Vanuatu champions Amicale FC to a semi-final in the OFC Champions League 2013 season. Nawo also featured for Tafea FC, Western United and Hekari United in the OFC Champions League and just recently last season he was part of the Nulkutan FC in the OFC Champions League 2018 edition. The 30-year-old moved back to his home country last year and scored 11 goals to help Henderson Eels qualified for their first OFC Champions League. The Henderson Eels forward said they have a great team to do well in the competition. “As a club this will be Henderson Eels’ first time in the competition. I believe we have a good mix of players to do well here in Lautoka,” the Solomon Islands international said. “I have a vast experience in the O-League with a number of clubs but I believe in all my team mates to help us achieve our goal. Interestingly, Nawo will be sharing the pitch with his younger brother Boni Pride, Henderson Eels captain and defender. Henderson Eels will make their depart appearance in this season’s OFC Champions League against AS Central Sport of Tahiti on Sunday at Churchill Park in Lautoka, Fiji.